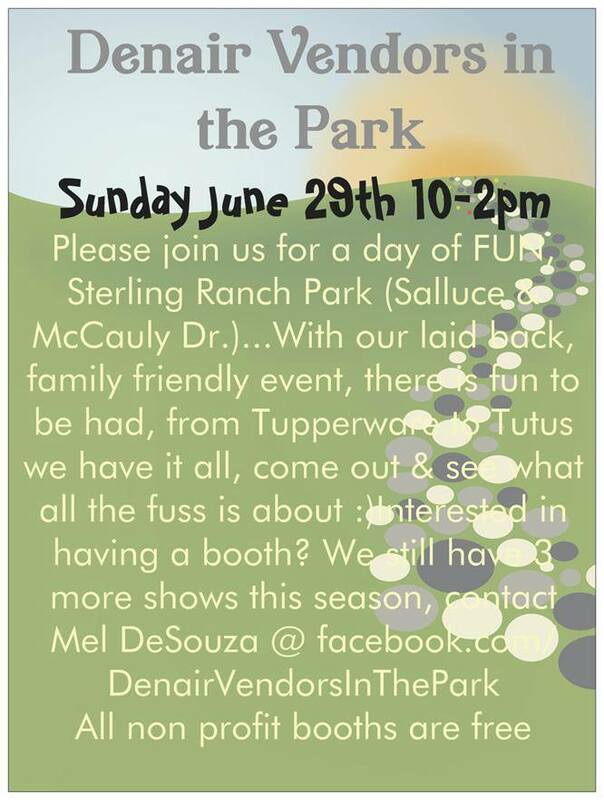 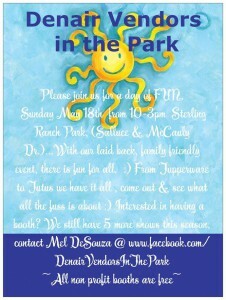 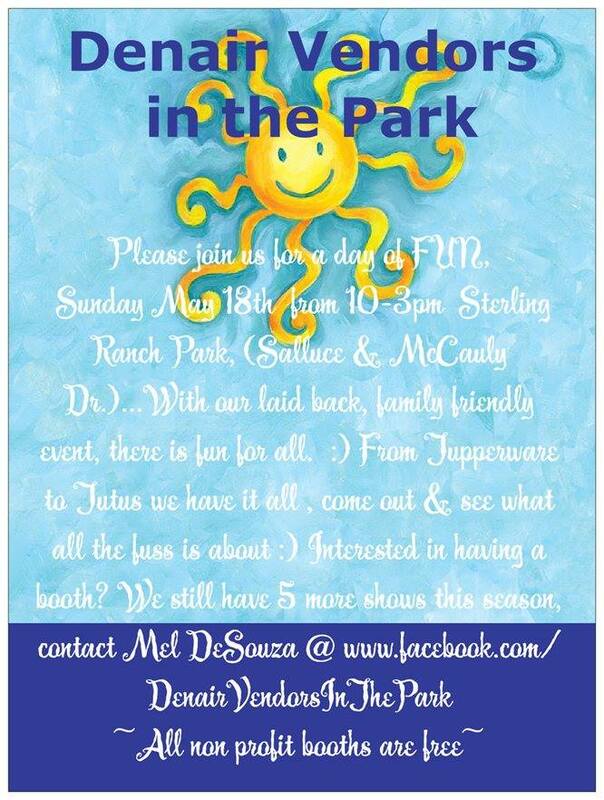 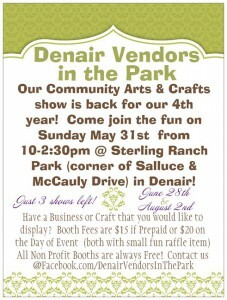 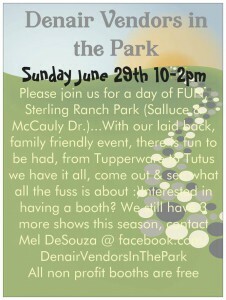 The next Denair Vendors in the Park is scheduled for Sunday, May 31, 2015, 10:00 am to 2:30 pm. 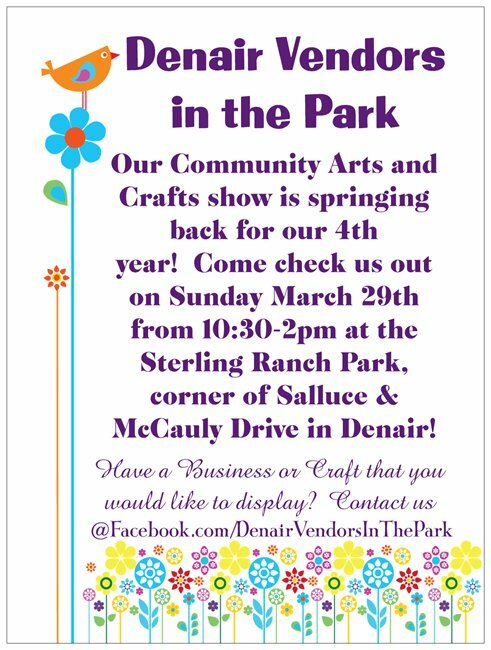 Join them for a great community Arts & Crafts Festival. 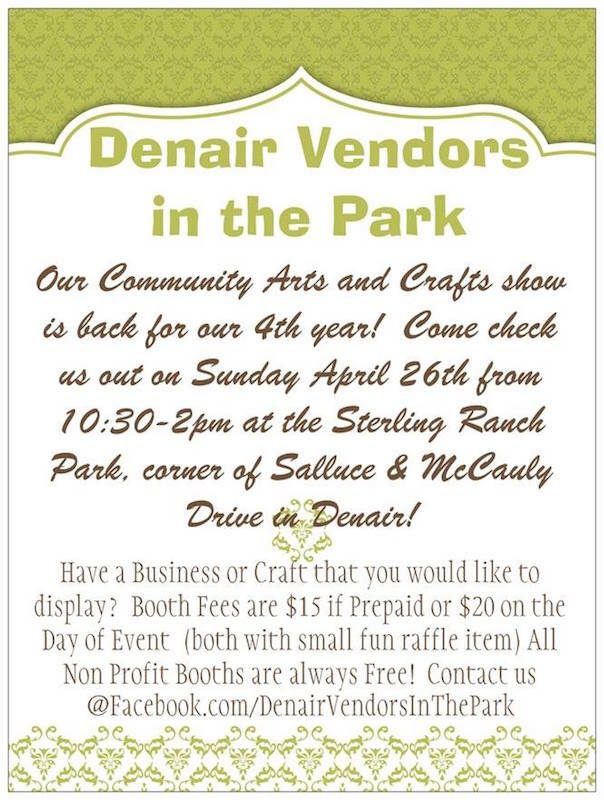 The next Denair Vendors in the Park is scheduled for Sunday, April 26, 2015, 10:30 am to 2:00 pm. 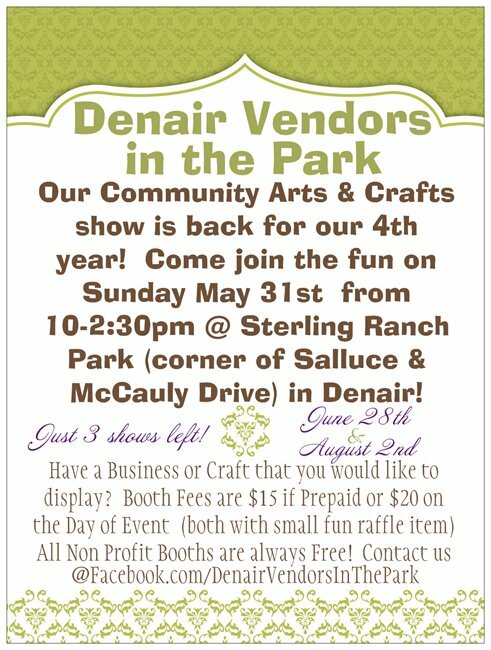 Join them for a great community Arts & Crafts Festival. 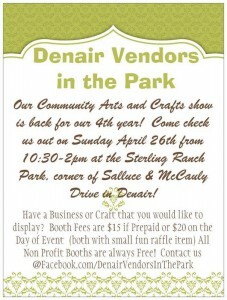 The next Denair Vendors in the Park is scheduled for Sunday, March 29, 2015, 10:30 am to 2:00 pm. 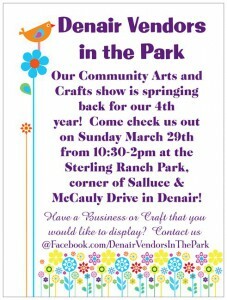 Join them for a great community Arts & Crafts Festival.